Anjem Choudary, who was jailed for inviting support for ISIS, released after serving less than half of his sentence. 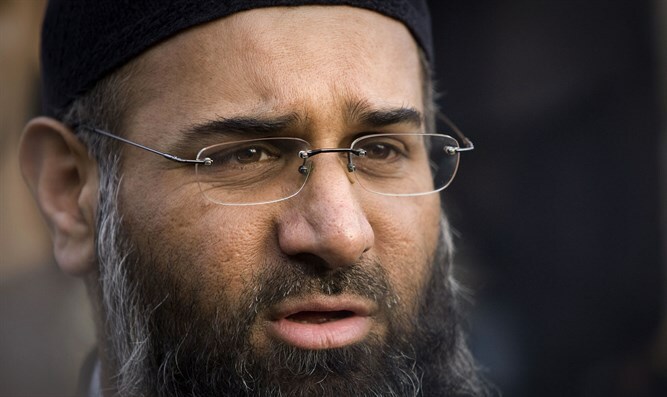 Radical Islamist preacher Anjem Choudary, jailed for inviting support for the Islamic State (ISIS) group, was released from prison on Friday, reported the BBC. The cleric was sentenced in 2016 to five and a half years in prison. He led an extremist network linked to violent jihadists, including one of the killers of soldier Lee Rigby in 2013. Choudary, 51, has served less than half of his sentence and will complete the rest under strict supervision. Up to 25 measures to control him have been prepared, according to the BBC report. His release from prison comes approximately four months early because of time spent bailed on an electronic tag before his conviction. Choudary is the former head in Britain of Islam4UK or al-Muhajiroun, a group that called for Islamic law in Britain and which was banned under counter-terrorism legislation in 2010. He has often praised Muslim terrorists, referring to the September 11 terrorists as “magnificent martyrs.” Choudary has in the past praised the 2008 terrorist attack in Mumbai, India and has also called for stoning homosexuals, assassinating the Pope, and prosecuting Queen Elizabeth for genocide. In 2013, he was filmed while threatening at a protest outside the French Embassy in London that Islam will dominate France and England. Choudary and his co-accused, Mohammed Rahman, were charged with inviting support for ISIS, which is banned under UK anti-terror laws, between June 29, 2014, and March 6, 2015. While Choudary is not accused of organizing terror attacks, he is considered one of the UK's most prominent radicalizers. He has been described as a "hardened dangerous terrorist" and someone who has had a "huge influence on Islamist extremism in this country" by former Met Police terror chief Richard Walton. Earlier this week, it was announced Choudary had his assets frozen and was listed on a global record of known terrorists overseen by the United Nations Security Council. The asset-freezing order means he will be under extremely strict financial controls which typically mean the authorities will be alerted if he tries to open a bank account or move money.